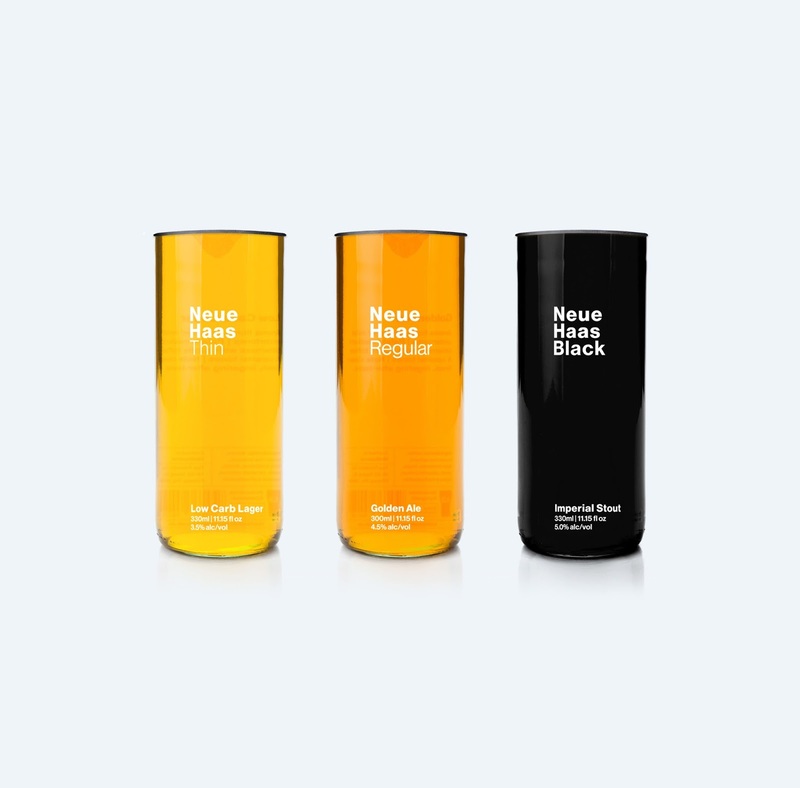 Neue Haas Beer is a concept range of Melbourne-brewed craft beers, targeted towards a design conscious and aesthetically discerning crowd. The naming system of the beer strengths (Light, Regular, Bold, etc.) 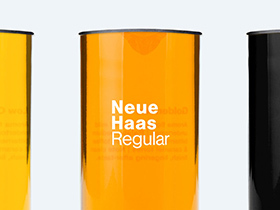 draws inspiration from the different weights of the font Neue Haas Grotesk (an earlier version of Helvetica). 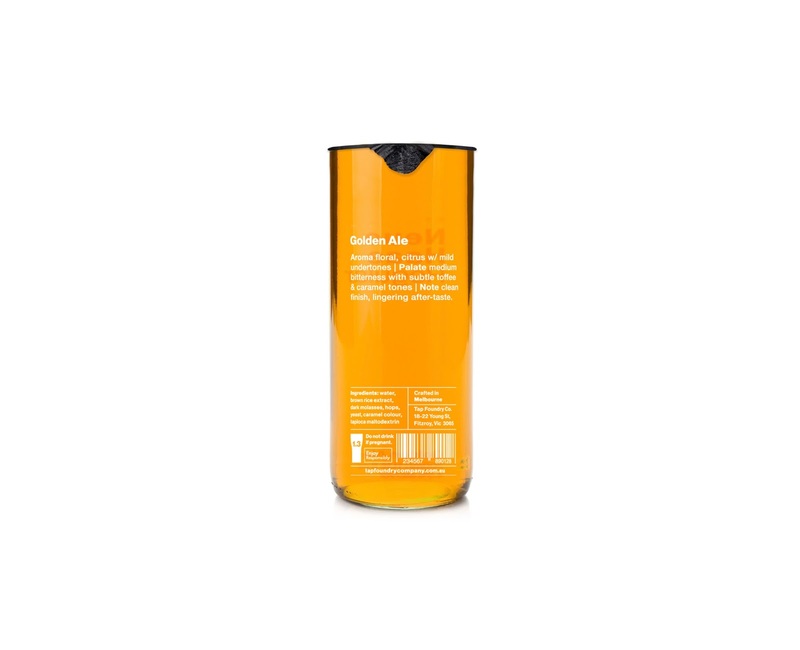 With a minimalist approach, clean aesthetic, and removable foil seal, drinkers are encouraged to reuse the vessel as a drinking glass once the celebration is over.